at how bracketing systems evolved, and how brackets fit together. they supported horizontal beams above the architrave. the wall-plane as cantilever beams. They sometimes added a cross-yoke onto a perpendicular arm. 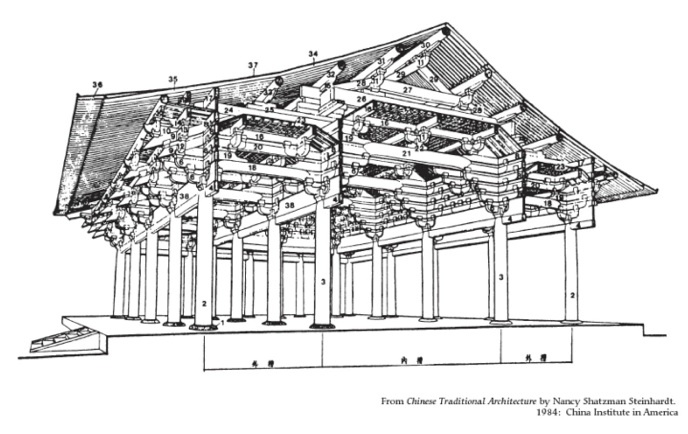 During the Tang, Liao, and Sung dynasties (600-1200 A.D.), the art of bracketing reached its zenith.